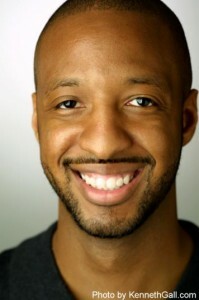 This month we are pleased to interview Austin SCBWI member Varian Johnson, a very talented (and very busy) man, as you'll see from his answers. Whether he's playing with his girls, designing a bridge, or writing his next story, Varian's energy and talent are an inspiration. We hope you'll get a chance to meet him in person (just listen for the amazing laugh that trails after him wherever he goes), but until then, here's an introduction to the one and only, Varian Johnson. I grew up in Florence, South Carolina, a small town about an hour away from the coast. When I was younger, I couldn’t wait to leave, but now that I’m gone, I find myself mining my memories of home for my stories. The food, the people, the smell of the air—there’s so much I miss about home that I try to capture in my work. So far, two of my novels have been set in South Carolina, and I’m working on a third. I always wanted to be a writer, though it wasn’t until college that I really became serious about writing for publication. This is probably a good thing—when I was younger, I could just write because I loved the act of putting the words down on paper. I didn’t burden myself with thoughts of publication. That would have ruined it for me. They’d probably be pretty bored, and pretty tired. I try to get up at 4:45 AM every morning—on my best days, I’m writing by 5:15. Eventually, the rest of the house catches up with me, and we have breakfast and get on our way to work and school. I have a full-time day job; on the good days I’m able to slip in writing during lunch. When I get home, I spend time with the family, but after everyone goes to sleep, I make my way to my computer and get back to work. I love that for my “other” job, I work with large groups of people. It breaks up the monotony of working on a manuscript in solitude. Like most authors, I’m proud of my books, and happy when they’re recognized via awards and best-of lists. But I also really cherish letters from readers. 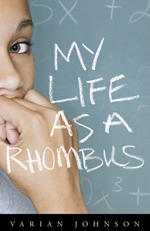 I get most of my mail for My Life as a Rhombus, a novel that deals with some really tough issues. I always appreciate when a young person thanks me for writing it and says why it’s important to them—it good to know that my books serve a real purpose in the world. The biggest surprise is how little writing I’m able to do. Writing is a business, and as much as I’d like to just sit at my desk all day and write, there are always other business demands tugging at me. There are some weeks where I don’t get any creative work done at all! I hope that when they finish the book that the characters stay with them. And I hope that they have a reaction—laughter, sadness, contemplation—whatever. I want the characters to change, but I hope my readers change a little as well. 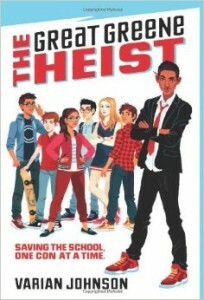 Author Bio: Varian Johnson is the author of four novels, including The Great Greene Heist, an ALA Notable Children’s Book Selection, a Kirkus Reviews Best Book of the Year, and a Texas Library Association Lone Star Reading List selection. 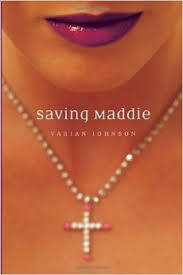 His novels for older readers include Saving Maddie and My Life as a Rhombus. Varian holds an MFA from the Vermont College of Fine Arts and currently lives outside of Austin, TX with his family. His newest Jackson Greene novel, To Catch A Cheat, will be released in Spring 2016. You can follow Varian on Twitter @VarianJohnson.